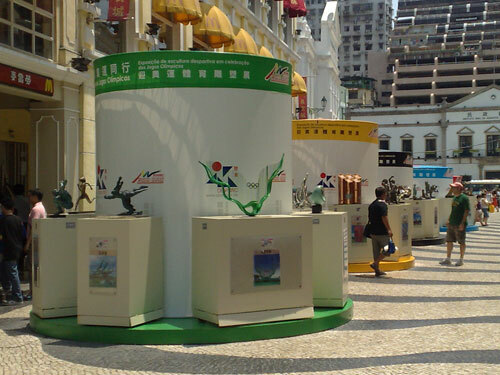 As I mentioned, I was in Macau during the build-up and start of the 2008 Beijing Olympics. 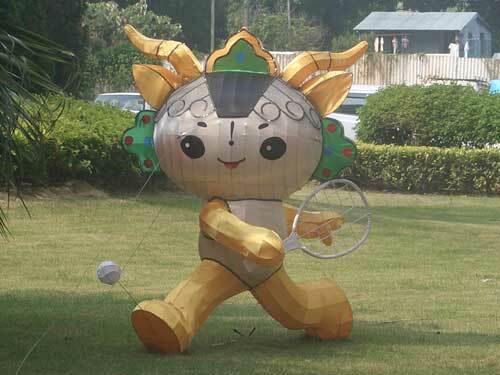 Although Macau is a 'Special Administrative Region' of China, and so under a different legislative framework, the area is still proud to be associated with hosting the Olympics. There are street signs and evidence of Olympic-related activity almost everywhere you go. 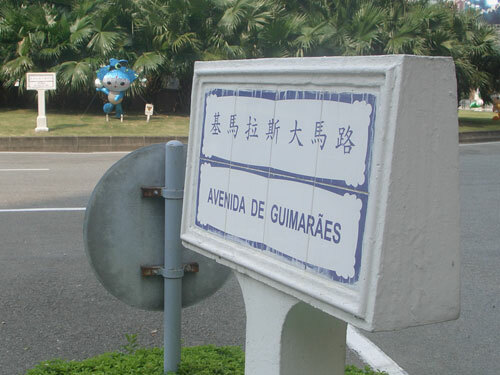 Macau is an interesting area because of the mix of the Chinese population with the Portuguese heritage of the former colony. 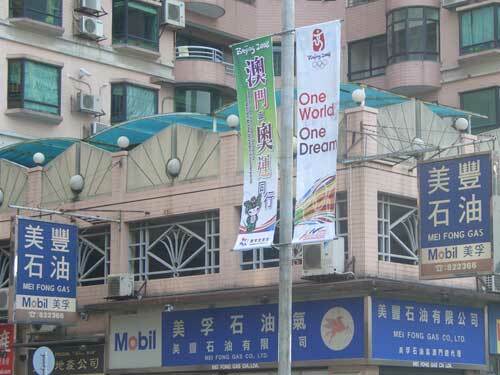 You get some interesting juxtapositions of old Portugal with the distinctively Chinese branding of this year's Games. Not everything has gone exactly to plan however, illustrated here by Huanhuan. 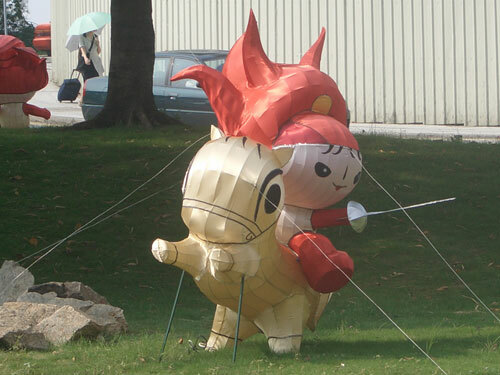 I'm not entirely sure when horseback fencing (or is it jousting?) became an Olympic discipline. By Martin Belam on 16 August 2008. Yes I think so, Matthew, Huanhuan had the pistol in the other hand, which you can't quite see in the picture. Mind you, I'd pay good money to watch a sport that involved blokes on horses with a sword and a pistol at the same time!